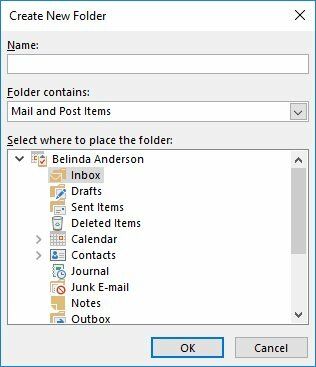 So along those lines let’s now look at how you can create your own filing system within Microsoft Outlook (or any email client for that fact) and keep your inbox looking in tip-top shape. 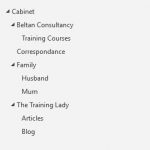 I have seen many people just start creating folders directly within the main mailbox directory and it gets quite big and difficult to manage, another option is to create a main folder which will then contain all the subfolders you wish to store content in, think of it as creating the filing cabinet first and then within that we create draws and folders. 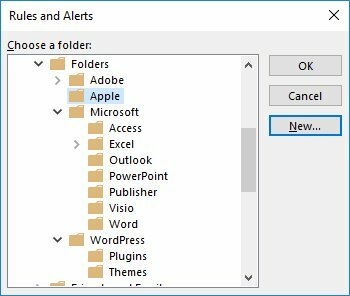 Alternatively, you can drag and drop the folder into the new location using the mouse. 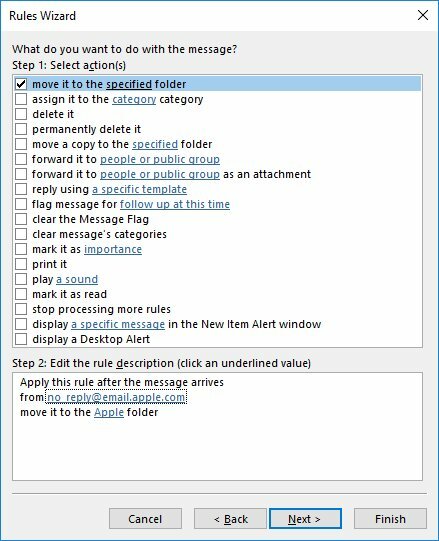 I hope this has helped to improve the management of your emails and Inbox folder. 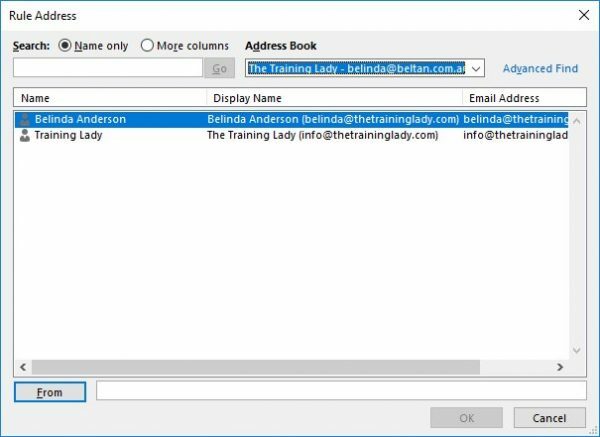 Be sure to check out how to create a rule to move email to a specified folder which will help to keep your Inbox organised. 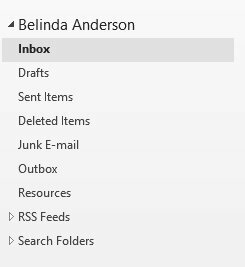 In this age of email and the internet, we tend to find our inbox can get clogged with a lot of email from various different sources. 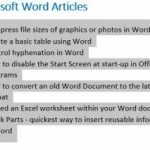 A great way of sorting through this content is using the built-in rules available within Microsoft Outlook to automatically sort your incoming mail messages into specified folders. 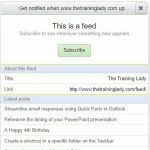 This particular function works really well if you receive regular emails from mailing lists, retail shops, and even your favourite website (like me!) 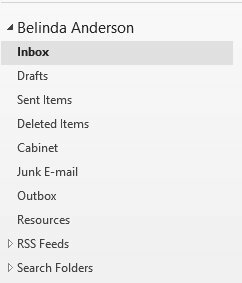 and it allows you to store email from a particular sender in one location where you can read at your own leisure. 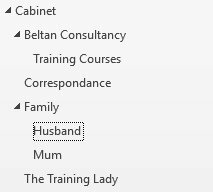 This is also a great way of keeping a well-organised inbox. 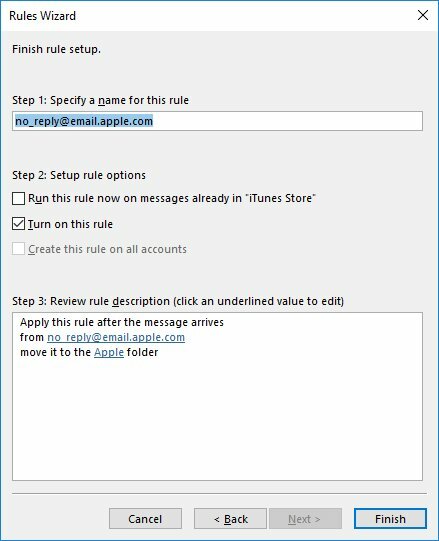 In this example I want to setup Outlook so that it automatically moves any emails from iTunes to a specific folder in my Outlook profile. 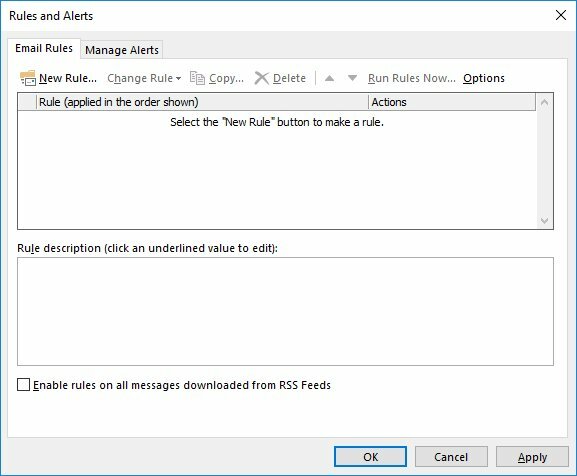 Whenever I demonstrate this feature to training participants I always say “The best way to understand rules is to read them like a story”. 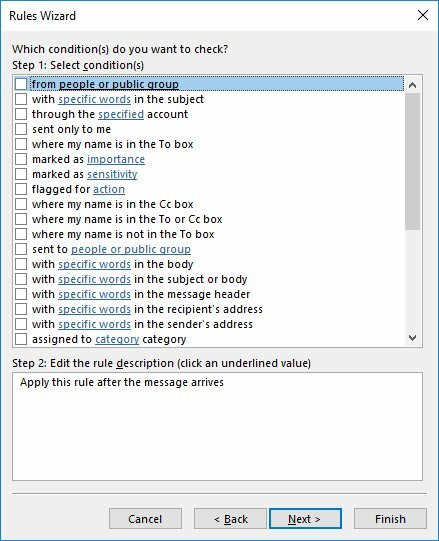 The bottom half of the dialog shows the Step 2: Edit the rule description. 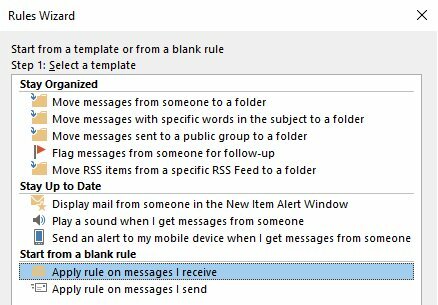 Here is where you can read the rule, just like a story and as you change or select options the story will grow. When you paste the email address ensure that the display name and any additional symbols are not accidentally included. E.g. 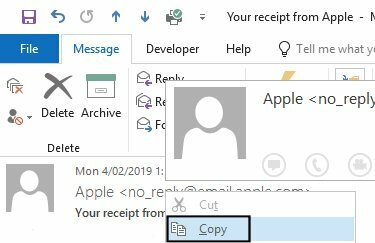 When I select Paste, the full email display address of Apple <no_reply@email.apple.com> is inserted, I then have to manually remove the display name “Apple” and the greater than/less than symbols which are wrapped around the email address. Now you will see at the top of the wizard the question: What do you want to do with the message? Now you will see at the top of the wizard the question: Are there any exceptions? 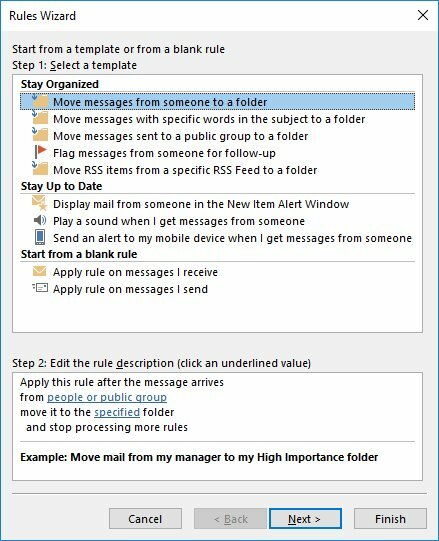 Congratulations, you have created a rule to organise your Inbox! 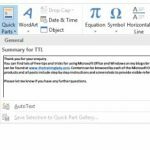 Be sure to check out my other Outlook post on how to automatically forward email messages to colleagues using rules or other Microsoft Outlook articles.